Today I’m sharing this Retro Seated Woman Pulling on Fancy Stockings Clip Art! 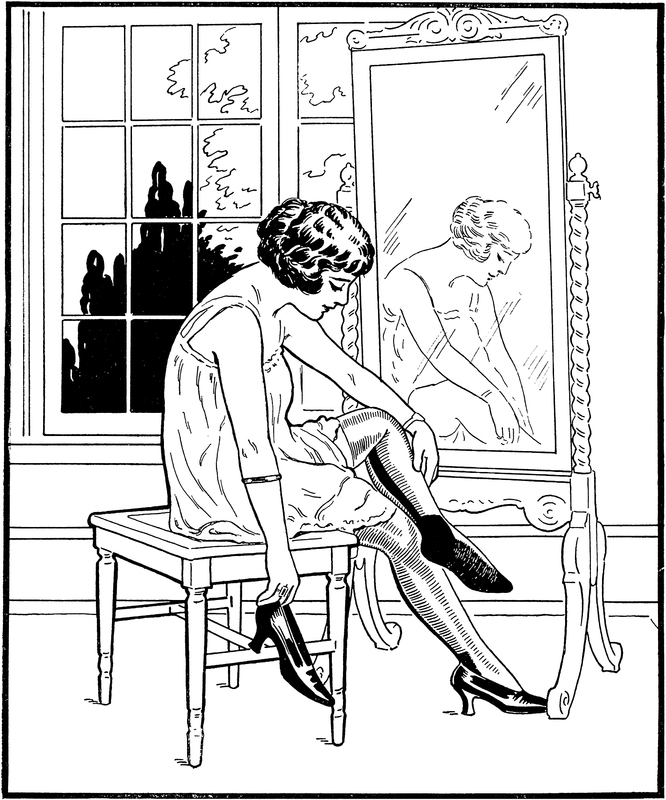 In this cute black and white image, probably from the 1920s, a woman with short bobbed hair straightens her stocking in front of a large mirror. The stockings have a wide seam and heal detail. She has black pumps and is wearing a slip. So nice to use in your Retro Junk Journal, or Craft or Collage Projects! « Dainty Pink Flowers Image! As far as we know, the images are in the Public Domain, we do our due diligence and we are very careful about what we use, however we can not give you a 100% guarantee. 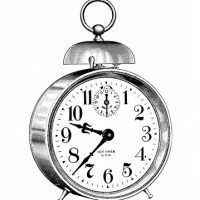 We have never had a problem with copyright and these images have been manufactured all over the world, appeared in nearly every home decor magazine out there, and are even used by a major motion picture studio.